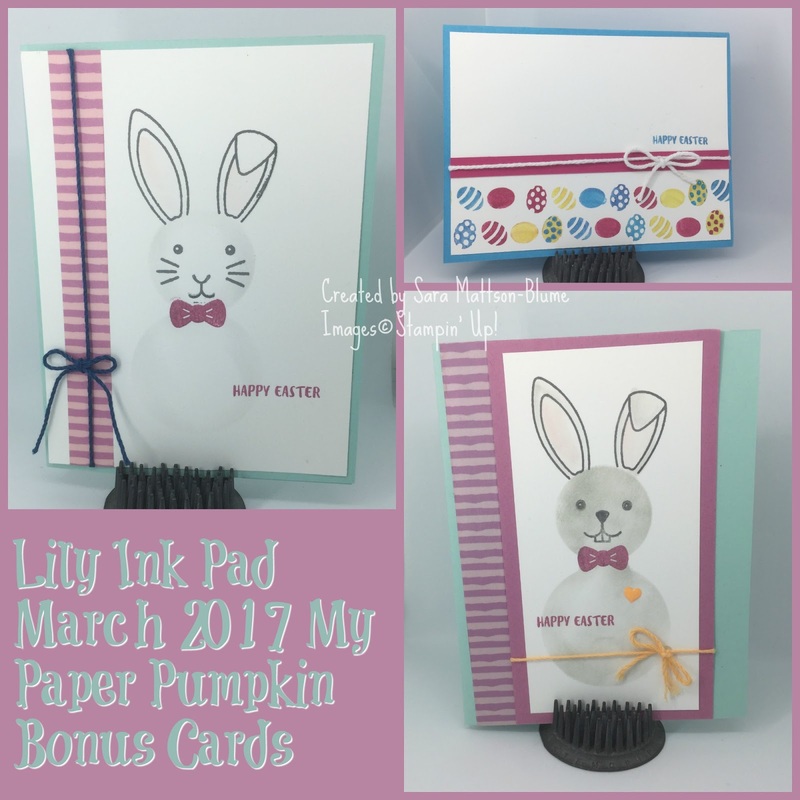 Lily's Ink Pad: Finale of My Paper Pumpkin Projects! I have one more post about March's My Paper Pumpkin for you. Here are the cards I created that don't coordinate with the original materials. The Top right card is repeated stamping of the little Easter Eggs. I used my Melon Mambo, Daffodil Delight, and Tempting Turquoise Markers directly on the eggs, washed it after stamping, and changed up the coloring order to get a variety of eggs. See? The creativity is endless! 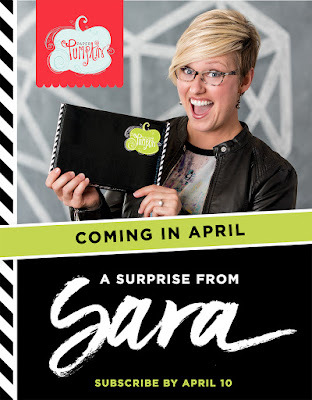 Tomorrow, April 10th, is the last day to sign up for My Paper Pumpkin and receive April's kit designed by our CEO Sara Douglass! I've seen a sneak peek and it's going to be AWESOME!